James L. Rubart is a professional marketer whose Jr2 Marketing company clientele has included ABC, AT&T/Cingular, and Clear Channel Radio. 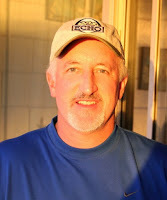 He is also a professional speaker, writes recurring columns for Christian Fiction Online Magazine and Christian Women Online, and is on the board of the Northwest Christian Writers Association. Micah Taylor tapped an edge of the cryptic letter against his palm as he stared out the massive windows of his corner office overlooking Puget Sound. Why would a great uncle he'd never known build a home for him? Oregon coast. Cannon Beach. Right on the ocean; at least that's what the letter claimed. Probably some joke his VP's cooked up, inspired by the picture he'd hung in the conference room a few months ago of Ecola State Park. Great kid memories from that slice of paradise. Was it only fifteen years ago? Felt longer. Micah smiled. This was exactly the kind of prank his team might try to pull off. No one would ever accuse RimSoft's culture of being stoic. Shannon stood in the doorway, eyes bright behind her Versace glasses, short-cropped salt and pepper hair outlining her china doll face. She'd been Micah’s administrative assistant for three years. Smart and not easily intimidated, what bubbled in her five-foot-four frame made her one of the strongest links in his company's chain. “Yes, I know.” She pulled her glasses down and gave him her pirate look over the top of them. Micah laughed and glanced once more at the letter announcing his inheritance. He grabbed his notebook and wagged his finger at Shannon as they walked out of his office. “You shouldn’t call someone boss when you’re almost old enough to be their m—"
“Right,” Micah said as they fell into step and marched down the halls of RimSoft. Friday morning. He loved Fridays; not just because they launched the weekend like a blast of summer morning sun, but because of his weekly team meeting. The creativity his team pumped out astounded him. He might not get hired at his own company if he applied. If employing people better than yourself were an Olympic event Micah would be swimming in gold. As they turned the final corner on the way to the conference room, Kelli Kay, one of Micah’s more talented programmers, approached. “Want to hear something really cool?” Her red curls bounced like a slinky. “Absolutely.” Micah kept walking—now backward—his Nike’s scuffing lightly on the teal carpet. Single mom until four months ago, Kelli put herself through computer school, while working forty hours a week and taking care of her ten-year-old kid. Never complained about fifty hour weeks. Never complained about sixty hour weeks. “My kid won that art contest I told you about last week; he’s headed to LA this summer to compete in the national—"
“Really?” Kelli half-jogged to keep up with Micah. “Absolutely. RimSoft's already made $2 million off that little anti-virus program you developed last year. You're amazing," Micah said. He turned and picked up his pace. Shannon picked up hers too, her white Adidas running shoes helping in the effort. He couldn't believe this was the same women who showed up her first day wearing three-inch heals and a business suit straight out of Uptight Dresses for Corporate America. Micah told her to get rid of the heels and put on whatever she loved wearing and felt comfortable in. “You could actually stop when you talk to people," Shannon said. Micah laughed. "We have a meeting. You know, the company? Work to do. Software programs to develop. Lots of sales. Happy stockholders. Make money. All that stuff.” He brushed past a lush, broad leafed Dracaena plan and walked faster. “They just want more time with you, to know you like them." “I like everyone. But, to be sure, let's get out an e-mail that says ‘From Micah Taylor. To you. I like you. I really, really like you.’ ” He turned, pushed open the conference room door and held it for Shannon. He returned her glare with an impish grin. The conference room was small but comfortable. No vaulted ceiling, no massive table, just two light tan leather couches and six overstuffed espresso brown chairs all circling the center of the room. RimSoft's version of Camelot. The room wasn't designed for ego, it was crafted for efficiency. The couches held two people each. On one couch sat Micah's head of legal with his jet-black hair and John Lennon glasses. Next to him slumped his VP of mergers and acquisitions; thirty-one years old but looked fifty with his premature gray hair. On the other couch perched his VP of marketing, looking more every day like a young Oprah. Next to her sat his Chief Financial officer. Two of Micah's software development VP's sat in the chairs. Shannon sat in a chair, Micah paced in front of his. On a table in the center of the room sat a steaming pot filling the air with the aroma of Starbuck's coffee. Clumped next to it were mugs from Disneyland, the University of Washington Huskies, and cups with RimSoft's logo on them. Good. All the pieces were in place. Time to check out the condition of the chess board. “Done," his mergers VP said. "We love their hardware; they still love our software, right?" “Excellent, great work.” Micah focused on Oprah's twin. “Is the ad layout done for Wired?" “Why?” asked the head of legal. One of his team cleared their throat. The rest glued their eyes to the agenda. "Deep breath everyone. Relax. Let's move on," Micah said. A half-hour later Micah glanced at each member of his team. “Thank you. For two things. First, for being good enough at what you do that this company could no doubt survive without me. Second, for not being so good there’s no room left for my input.” He smiled, grabbed his notebook, and strode toward the door. Too harsh in there on Mr. Always-Late-Legal? Probably. But why couldn't the guy just do his job on time? Did Micah have to do every job at RimSoft? If there was time he would. He doubted any of them believed his 'good enough that the company could run without me' speech. RimSoft couldn't. Always picking up the broken pieces was part of running a company. But it exhausted him. There had to be a way to get free of it. Trusting other people to come through? Wouldn't happen in this lifetime. Shannon stepped into the hallway just ahead of him and clipped toward her desk like an Olympic speed walker. She walked faster and didn’t respond. “Hmm.” She looked up at him with a thin lipped smile. They walked seven paces in silence. “That’s not who I really am." "Zero! Zilch! Nada! That's what you'll always be, kid!" slammed the vault to his heart shut and the memory faded. By the time he arrived at his office, his breathing had steadied and his focus shifted to the letter from his great uncle sitting on his teak desk. Micah picked it up. The yellowed paper was probably white once, though the fluid cursive writing looked as crisp as if it had been scrawled yesterday. The envelope it came in had been sealed with wax, the outline of a lion’s head distinct in the dark-blue paraffin. Micah settled into his black leather chair and stared at the name above the return address on the envelope. Archie Taylor. Definitely strange. Archie was his great uncle whom he knew less than a paragraph about. He’d been dead since the early ‘90s, and Micah had never met him. He knew Archie had made quite a bit of money and hadn’t married, but the rest had always been a mystery. Until Micah’s late teens, he hadn’t known Archie existed. When he asked, his dad would only say Archie was a strange man. A man to stay away from. He opened the letter and wondered once more if what it promised was real. You are likely shocked to have received this letter as we never had the opportunity to know each other. The reason for the letter will surprise you more. I have asked a friend to mail it when you turn thirty-five or when you acquire enough financial resources that you no longer need to labor. Consequently, if you are reading this letter before reaching your 35th birthday you have already made a significant amount of money, which is sometimes a beneficial occurrence at a young age, but usually is not. If my instructions have been carried out, a home was built during the past five months on the Oregon coast, four miles south of Cannon Beach. I designed it for you. My great desire is that you enjoy the house, and if the builder followed my directives I believe you will. It will certainly—if you'll forgive the cliché—upset your apple cart if you allow it. The home is all you. P.S. There should be a key enclosed with this letter as well as a card with the address. Micah reread the last line and frowned. 'The home is all you?' Typo. Must mean all yours. Intriguing. One of his fave places in another life. If there was a home on the northern Oregon coast with his name on it, it was an adventure worth checking out. Soon. Micah read the letter for the third time that morning. Definitely soon. A noise in the hall made him look up. Julie. Perfect business partner. Recent romantic partner. Tenacious tennis partner. Her shoulder-length blond hair bounced as she pranced through the door of his office, crisp beige suit complementing her gleaming pearly whites. “Hey!" Micah rose from his desk and opened his arms. When she reached him, she ruffled his dark brown hair and kissed him softly. The faint scent of Safari floated up to him. She never wore too much, almost not enough. Julie. Powerful yet could be tender. Driven and radiant. Nice to have her back. “How was the trip?” he asked. “We’re richer. But glad it’s over.” Julie slid out of her blazer, flicked a piece of lint off the lapel, and laid the coat across the back of Micah’s milk chocolate brown chair and patted it once. “I did find the perfect SLR digital camera to add to my collection. You’ll model for me, please? Your baby-blue eyes are worth taking up seventy or eighty megs on my laptop." When they’d started RimSoft five years ago he never imagined they’d strike such a rich vein in the software gold rush. Of course he’d never imagined their long-term platonic relationship budding into romance either. Micah sat down and stared at Archie's letter. “You with me here?" Julie said, leaning against Micah's desk. “I asked about Monday's board meeting and I think waiting five seconds for a response is long enough." She laughed. “You better have a really, really good reason if you're canceling.” She straightened the collar of his olive-green polo shirt. "Apparently I’ve inherited a house right on the ocean, just south of Cannon Beach." "Cannon Beach?" A scowl flashed across her face. "Nothing. Let me see something." Julie leaned over him as her red fingernails danced over his keyboard until a sampling of Cannon Beach homes for sale flashed on screen. "Take a look at these prices." She tapped on his monitor. "You're little gift could be worth $3 million plus. Throw a sign on it, make some quick cash." "It's probably just a shack. Or maybe the letter's a hoax." "Where did this mystery shack come from?" He picked up the letter and bounced it up and down on his palm. "My great-uncle, whom I never met, had it built for me." "You never met him and he gives you a house at Cannon Beach?" "Weird huh?" Micah opened his palms. "So, this weekend, want to come check it out with me?" Julies shoulders sagged. "Instead of Whistler?" "You're right." He ran his finger over the surface of the letter. "Let's go skiing." "Wow. You're really curious aren't you?" Julie didn’t wait for an answer. A few seconds later Google Earth splashed onto Micah's monitor. Micah read it to her off the letter. A few seconds later they gazed at a patch of dirt overlooking the ocean. "Not even a shack," Julie said. "Maybe, maybe not." Micah punched a few keys. "Look. That satellite image is seven months old. Archie's letter says the home was built by somebody during the past five months." Micah gaze stayed riveted on his screen. "There could be—"
“So you'll come with me this weekend?" Julie sighed and looked out the window. " The ocean and I don't get along." "Interesting. Another fascinating secret about my fascinating partner is revealed." Micah leaned back with his hands behind his head. "This is a story I need to know." "No, you don't. That story has no admittance stamped on it in blood red letters." 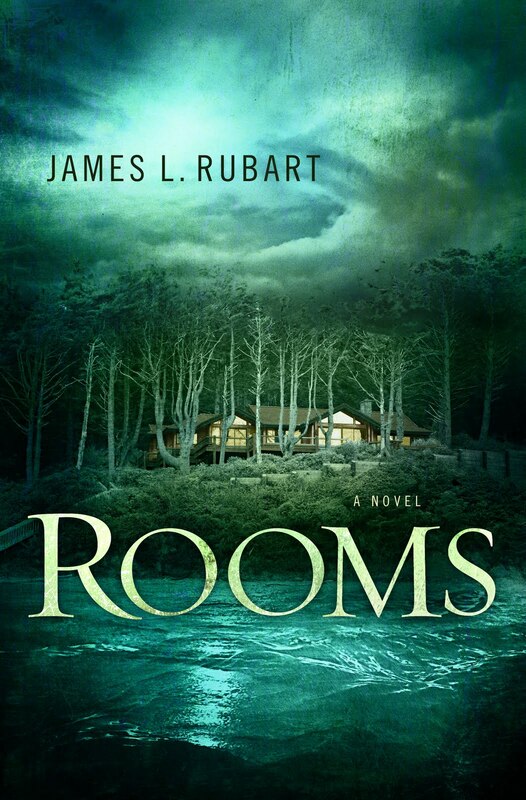 Rooms is a unique story speaking to the choices a person makes throughout his or her adult life that has lasting impact. Even the smallest of decisions may inform the rest of a person's existence. Micah Taylor has inherited a house that has an interesting quality: it has the ability to reveal unusual rooms. Micah finds himself confronted with decisions as a result of exploring these rooms in his new home. Each choice either pulls him closer or pushes him farther away from his ideal life. With the help of a new-found friend, a love interest and a mysterious stack of letters from his uncle, Micah must reconcile the life he's lead up to this point and the life he was always meant to lead. I enjoyed this book, but it wasn't as eerie and as haunting as the cover art promises. Still, it was a great read. I highly recommend it.